BookExpo America is dropping "America" from its name and will now be known as BookExpo, one of several changes for BEA that were outlined by the American Booksellers Association and Reed Exhibitions in a letter sent this week to ABA member booksellers, Bookselling This Week reported. The goal of the name change is to reflect today's book industry, "where the constant exchange of information among authors, publishers, booksellers, and readers is essential," the letter said. The show has been known as BookExpo America for the past two decades and earlier was the ABA's annual convention and trade show, called simply "ABA," before the ABA sold the show to Reed. Along with the Association of American Publishers and the Association of Authors' Representatives, the ABA is a show sponsor. Some of the other changes aim to make the show more attractive to booksellers. "BookExpo will be scaled to focus on what booksellers want most--to discover new titles and authors, to maximize the opportunities to network with publishers and peers, and to continue learning best practices for running their businesses," the letter said. Changes for BookExpo 2017, which will be held Wed., May 31, to Fri., June 2, in New York City, include "the return of an affordable Hotel ABA" (the Row NYC Hotel, on Eighth Ave. between 44th and 45th Sts. ); moving the ABA's Annual Celebration of Bookselling to Wednesday, the first day of BookExpo programming; and "working with all exhibitors to ensure that it will be easy for booksellers to set up BookExpo meetings before the show and, also, to identify the industry personnel in publisher booths who are there specifically for meetings with indie booksellers," BTW wrote. Other popular programming "will return and expand" at BookExpo. "Guided by feedback and input from member bookstores, ABA and our valued colleagues at Reed are reinventing BookExpo while implementing a number of important innovations and changes to help ensure that the annual spring event--still the largest annual meeting of independent booksellers--meets the business needs of indie bookstores and helps them better interact with all key segments of the book industry," said ABA CEO Oren Teicher. "We are excited to be moving ahead with Reed to make BookExpo the best event possible." The changes outlined, with more to come, "reflect the intention of both ABA and Reed to make the show as responsive as possible to the needs of independent booksellers," the letter said. In May, total net book sales rose 1.6%, to $1.05 billion, compared to May 2015, and represented sales of 1,210 publishers and distributed clients as reported to the Association of American Publishers. For the first five months of the year, total net book sales fell 3.3%, to $3.886 billion. In May, adult hardcovers rose 15.9%, a major improvement for a category that is down 6.3% for the year to date. Mass market also saw a major jump--48.7%--in another category that is down 4.6% overall so far in 2016. E-book sales were off in all categories, with the eye-popping exception of university press e-books, whose sales were up 88.3%, although they amounted to just $1 million. 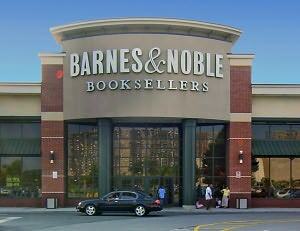 Barnes & Noble will close its Bay Plaza store in the Bronx by the end of the year, NEWS-12 reported. The decision comes two years after the company reversed a decision to shutter the location, thanks to efforts by borough president Ruben Diaz Jr. to negotiate a compromise between the bookseller and Prestige Properties & Development. A B&N spokesperson said that "though we were paying substantial rents at this location, the property owner has decided to lease the space to another retailer who was willing to pay more." B&N said it had held discussions with the property owner in hopes of coming to an agreement. Councilman James Vacca said the store was offered a smaller location at Bay Plaza outside the mall: "Bay Plaza has made it clear to them they would like them to stay and so would we. The community would like Barnes & Noble to stay here and that is very important." In response to the news, Noëlle Santos, whose Lit. Bar initiative aims to open a bookstore in the Bronx next year, wrote to supporters, "With the Bronx soon to be the only borough in the city without a bookshop, cries of disappointment have erupted via social media and publications such as Welcome to the Bronx have called their followings to support the Lit. Bar with a greater sense of urgency. We need your help to step up for our literary community." Santos noted that her crowdfunding campaign should start in January but that there are other ways the Lit.Bar can be helped, particularly in her search for "a founding bookstore manager to assist in almost every aspect of store operations. There's so much value in having this person be a part of the start-up journey. My ideal other-half has significant bookstore experience, a handle on social media, a love of the Bronx, and an entrepreneurial spirit (and stomach). A plus if you're more excited about Harry Potter and YA than I am." "Compared to other media businesses, the book business is in a really good place," said Jacob Dalborg, CEO of Bonnier Books, yesterday afternoon during the Frankfurt Book Fair's annual CEO Talk. 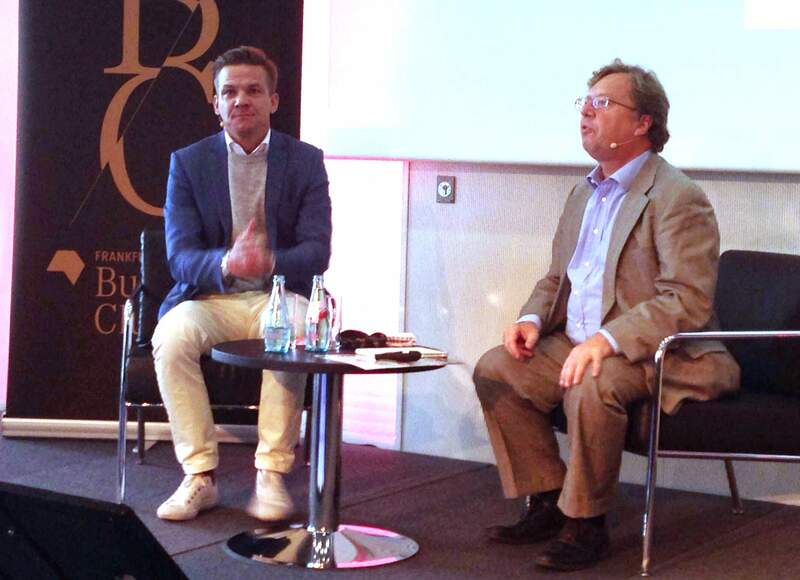 Dalborg, who has been chief executive of the Swedish publishing group since 2014, was in conversation with publishing consultant Rüdiger Wischenbart and discussed Bonnier's growth in the U.K. and U.S. markets, differences between print and digital and the potential for future consolidation in the book industry. "We have business models that work when it comes to both physical and digital; there are readers ready to pay for literature," continued Dalborg. "If you compare that to newspaper or magazines or even television now, they're going through even bigger changes than we ever had.... It's not that I'm saying it's a walk in the park--we have to do a lot of changes, but the core of what we do, the publishing, the editing, the literature itself, there's a demand for it and people are ready to pay for it." Besides important publishing operations across Scandinavia, Bonnier has a strong presence in Germany, where it owns Berlin Verlag, Carlsen Verlag, Ullstein Buchverlage and other publishers. Bonnier's U.K. division, Bonnier Publishing, has seen rapid growth in the last few years fueled by both acquisitions of smaller publishers and publishing bestsellers of its own. When asked about this sudden growth, Dalborg said that he did not actually think it was so sudden, as Bonnier has been establishing itself in the U.K. market since the 1990s. He suggested that it was more of a question of recognition by the publishing industry at large, rather than any change in focus or increased ambition regarding English-language markets on the part of Bonnier. "I think we've had the focus all the time. But we've all of a sudden had recognition out in the marketplace," Dalborg contended. "We've been focusing on building this, it goes a bit slow in the beginning, then after a while becomes bigger and bigger. It is getting the bits and pieces together, getting the platform together, then when we felt we had that, we added new things on." Asked about the differences between the types of books Bonnier publishes in the U.K. and what it publishes in its home territory of the Nordic countries, Dalborg acknowledged that there is more of a focus in the U.K on mass market books and children's books. The company's U.K. business began with mass market children's books, and since then Bonnier has been growing by "putting on the next age group." On whether Bonnier Publishing will begin publishing more adult, literary titles, Dalborg said: "Wait a couple of years and we'll see what we say then." As for the U.S. market, in August the company officially created Bonnier Publishing USA, which includes children's publisher Little Bee Books, founded in 2014, and Weldon Owen. Though Dalborg is hopeful that Bonnier will publish adult books in the U.S. sometime in the future, he doesn't think it would be "the nearest future." For the time being, Bonnier will work to build up its children's business. When asked what attracted Bonnier to the U.S. market, Dalborg replied drily: "The U.S. market is a little bigger than Finnish or Norwegian, it was kind of interesting in that sense." Dalborg said that he doesn't see Bonnier's digital book efforts and its physical book efforts as different businesses and, in fact, doesn't even see e-books themselves as particularly disruptive. Instead, he sees it as selling the same thing in a different distribution channel. He explained: "What we have is, we sell stories. Then if we sell them in digital format or hardcover format or audio, it doesn't really matter as long as there is a buyer for it or a reader ready to pay for it." On the topic of future consolidation within the book industry, Dalborg said that one can expect to see consolidation in any mature market, adding that he "definitely believes" that the industry will see more of it. He was not particularly concerned about negative effects of consolidation, though, as long as competition continues. In his view, the worst place to be for a publisher is "stuck in the middle," neither small and niche nor big enough to benefit from with scale and cost efficiencies. He also argued that to most consumers, publishers are probably invisible. No reader goes into a bookstore looking to buy a book from a particular publisher, Dalborg asserted. "They look to buy an author." Effective October 24, Adam Bellow will join St. Martin's Press as editorial director for a new, to-be-named imprint of political and current affairs books "from all sides of the political spectrum and across a range of issues--but its focus will be on discovering a new generation of conservative voices," according to the publisher. The imprint will include books acquired by Bellow, as well as titles from other St. Martin's editors. Although most of the titles will be nonfiction, selected fiction with political themes and stories will also be published. "Left and right no longer even speak to one another, let alone debate each other's books," said Bellow. "This imprint will seek to revive the culture of intelligent debate, both within the right and between right and left, creating a sense of openness and ferment that will attract the most original and interesting writers and build community through a sense of shared mission and purpose." St. Martin's Press editor-in-chief George Witte commented: "We're thrilled to welcome an editor of Adam's stature to St. Martin's. He has articulated a dynamic new direction for both conservative and political publishing, and we look forward to the range of books he will discover here." Prior to joining St. Martin's, Bellow was v-p and executive editor at HarperCollins and editorial director of Broadside Books. He also has been editorial director of the Free Press/Simon & Schuster and executive editor-at-large at Doubleday/Random House. 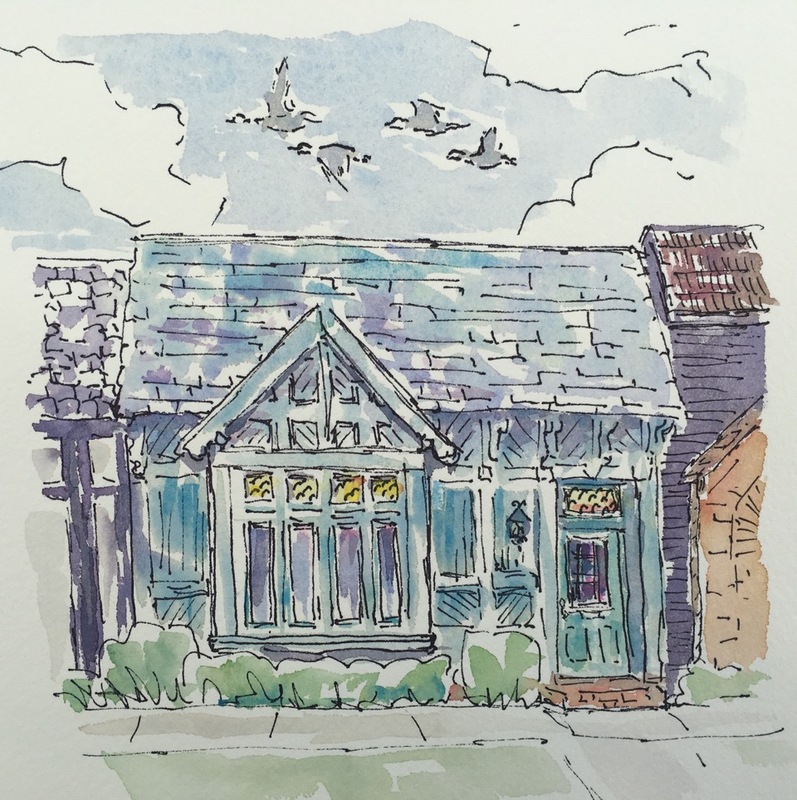 Wild Geese Bookshop will open November 4 at 107 S. Water Street in Franklin, Ind., carrying "a wide selection of books with a focus on storytelling.... It will also feature gifts that relate to the selection of books and are items that could be given to people who are always doing things for others," the Franklin News reported. "I wanted a place where you could give a gift to someone who doesn't often do things for themselves. It's hard to find something for someone who doesn't really impose on anybody but deserves a break." said Tiffany Phillips, who is a lawyer managing a company's litigation portfolio in addition to her new role as Wild Geese Bookshop's owner. 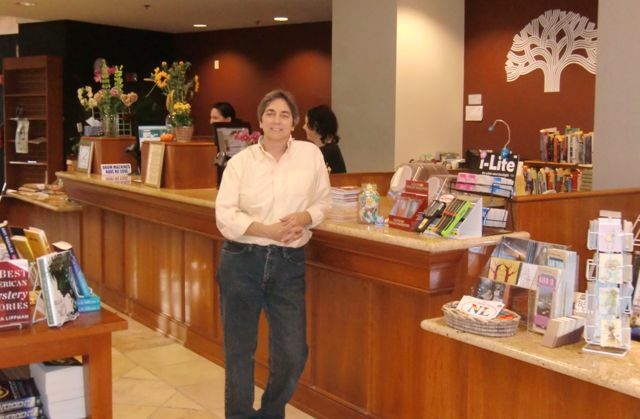 "In some ways it's different, law practice and bookselling. But in a lot of ways it's the same," she said. "Because when you read a novel, you are able to get inside someone else's perspective. It helps you see something from a different perspective in the same way that you're called to do as an advocate. So I think the more we can put ourselves into other people's perspectives, the more productive we can be as members of the community." Phillips moved to Franklin last year with her husband and two children. "I think a lot of choices that I've made for the shop are driven by moving to a new place, feeling a bit lonely, trying to find my tribe," she said. "Everyone's been warm and welcoming, but I think a lot of my choices are splintered around connections, and I think that's what makes it special." Bookstores "offer something in a community that no online shopping can offer," Phillips added. "It lets you hold things in your hands and smell paper and look at pages and allow that serendipity to happen, where a book finds you that you really needed in that time in your life.... Every day, there's something new that I have no idea what I'm doing, but I do it anyway.... I make mistakes, and I'm sure I will continue to make mistakes, but it's fun to challenge yourself. I'm so far outside of my comfort zone. But anything worth doing is a risk." "Who Wants to Own a Book Store?" was the headline for the annual State of the Store address from owner Luan Stauss, owner of Laurel Book Store in Oakland, Calif., which is celebrating its "second anniversary in downtown and our 15th in Oakland." Strauss wrote: "People love the store, and the most frequent question I get from customers in this age of e-books and mega-vendors is 'are you doing alright?' That's a complicated question to answer." "What I want more than anything is to have a successful, sustainable, growing book store serving Oakland and beyond. I want to continue hearing people say 'I'm glad you're here,' which is a powerful drug in one's work life. And I want to keep putting books into the hands of readers, and working with authors, teachers, librarians, and readers to build community together. Who's with me? And more important, what book can I get you today?" 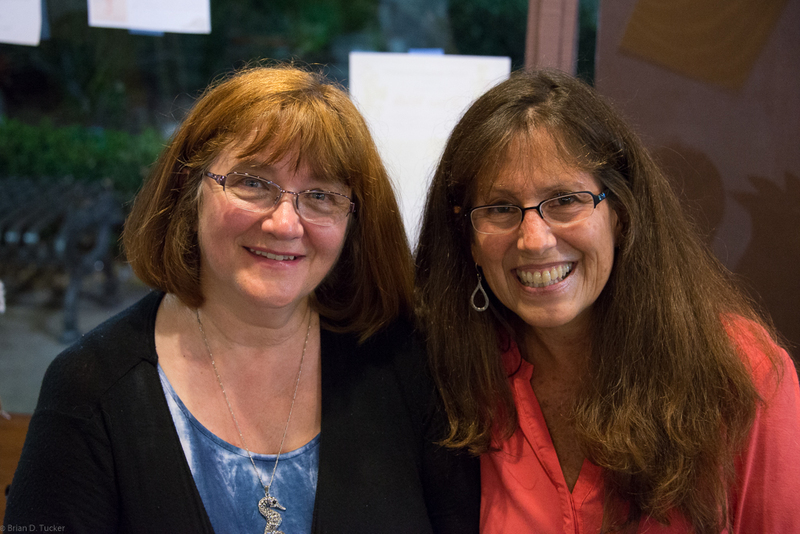 Heather Tucker (l.), author of the October 2016 Indie Next pick The Clay Girl (ECW Press), has set out on an indie bookstore road trip to promote her book and to thank booksellers for their support of her debut work. Her first stop was Cellar Door Books in Riverside, Calif., whose owner, Linda Sherman-Nurick (r.), has been a big supporter of the book. Happy 50th Birthday, Once Upon a Time! 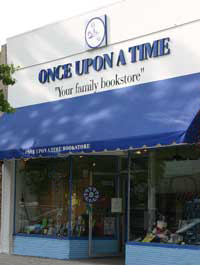 Congratulations to Once Upon a Time children's bookstore in Montrose, Calif., which is celebrating its 50th anniversary. Bookselling This Week reported that over the years, the shop, owned by Maureen Palacios, "has been recognized for its outstanding work. Earlier this year, the store was named Small Business of the Year by California Senator Carol Liu. In 2015, it won the Women's National Book Association's Pannell Award for best children's bookstore and in 2016 it was again nominated for the Pannell. In 2014, Once Upon a Time was one of 81 indie bookstores to receive a grant from author James Patterson as part of his $1 million Saving Bookstores, Saving Lives campaign." "It's about continually offering advice, because that's really what we do," said Palacios. "When we say we handsell, we're really consulting, asking questions, trying to determine the best books for readers... and hopefully they'll buy from you. That is the key now: Find it here. Buy it here. Keep us here." 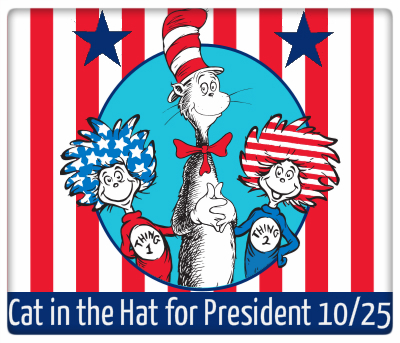 Cool Idea of the Day: Cat in the Hat for President! Next Tuesday, Odyssey Bookshop, South Hadley, Mass., is hosting a "Cat in the Hat for President!" event: "Join us at the Odyssey Bookshop for a kids gathering of art, politics, and Seussical rhyme! Hosted by Jenny Powers from the Springfield Museums and inspired by Bonnie Worth’s One Vote, Two Votes, I Vote, You Vote, the night will feature giveaways and an art activity. The program is aimed at grades K-3--or anyone who needs to work through their feelings about the election." Visit the Cat in the Hat's official campaign site. Doubleday, the Dial Press and Penguin Random House will celebrate the life and legacy of Pat Conroy next Wednesday by donating $1 (up to $15,000) to the new Pat Conroy Literary Center for every photo, book, quote or memory shared to honor the late author on Facebook, Instagram and Twitter, using the hashtag #PatConroyDay. At 9 a.m. EST on October 26, which would have been his 71st birthday, Doubleday will go live with #PatConroyDay on Conroy's Facebook page as well as the PRH, Random House Publishing Group, and Doubleday/Nan A. Talese Facebook, Twitter and Instagram accounts simultaneously. 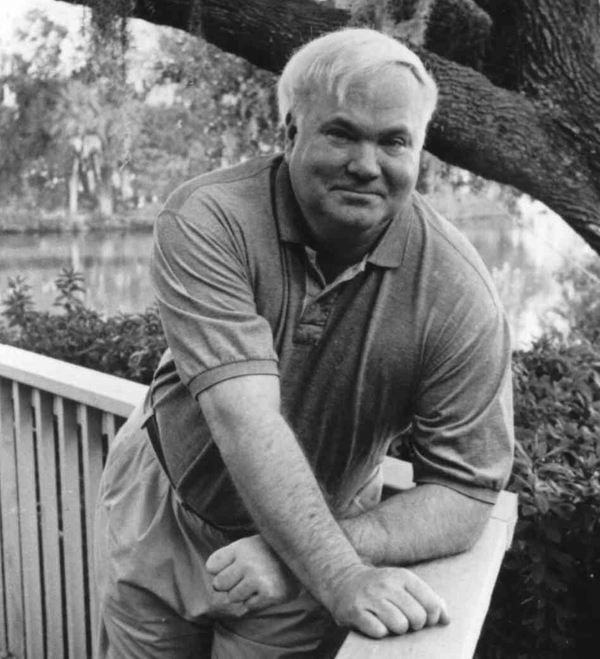 Readers and booksellers are encouraged to share their own Pat Conroy Day posts, memories and photos as well throughout the day. Sweet Sugar, Sultry Spice: Exotic Flavors to Wake Up Your Baking by Malika Ameen (Roost Books). The View: Daphne Oz, author of The Happy Cook: 125 Recipes for Eating Every Day Like It's the Weekend (Morrow, $32.50, 9780062426901). 10 p.m. Akhil Reed Amar, author of The Constitution Today: Timeless Lessons for the Issues of Our Era (Basic Books, $29.99, 9780465096336). Shortlists in six categories have been announced for the 2016 Prime Minister's Literary Awards, which "celebrate outstanding literary talent in Australia and the valuable contribution Australian literature and history makes to the nation's cultural and intellectual life." Up to A$100,000 (about US$76,620) is awarded in each category: $80,000 for each winner and $5,000 each for shortlisted entries). Winners will be named later this year. Check out the complete shortlists here. Not Dead Yet: The Memoir by Phil Collins (Crown Archetype, $28, 9781101907474) is the rock star's memoir. Muhammad Ali Unfiltered: Rare, Iconic, and Officially Authorized Photos of the Greatest by Muhammad Ali (Gallery/Jeter Publishing, $28, 9781501161940) is a collection of quotes and photographs. Lucky 666: The Impossible Mission by Bob Drury and Tom Clavin (Simon & Schuster, $30, 9781476774855) chronicles a semi-suicidal bombing mission against Japan in 1943. The Word Detective: Searching for the Meaning of It All at the Oxford English Dictionary by John Simpson (Basic Books, $27.99, 9780465060696) explores quirky English language facts with the former chief editor of the OED. Nanette's Baguette by Mo Willems (Disney-Hyperion, $17.99, 9781484722862) is a picture book set in a French village about Nanette, who wants a baguette. Fox and the Jumping Contest by Corey R. Tabor (Balzer + Bray/HarperCollins, $17.99, 9780062398741) is a picture-book debut about a trickster fox. Night Watch: A Novel by Iris Johansen and Roy Johansen (St. Martin's Press, $27.99, 9781250075970) is the fourth Kendra Michaels mystery. The Oslo Conspiracy: A Thriller by Asle Skredderberget, translated by Paul Norlen (Thomas Dunne, $26.99, 9781250049612) is Nordic noir with a Norwegian-Italian protagonist set in Rome. Dorie's Cookies by Dorie Greenspan, photographs by Davide Luciano (Rux Martin/Houghton Mifflin Harcourt, $35, 9780547614847) is an all cookie cookbook. One to Five: One Shortcut Recipe Transformed into Five Easy Dishes by Ryan Scott, foreword by Rachael Ray (Oxmoor House, $24.95, 9780848747770). Inferno, based on the novel by Dan Brown, opens October 28. Ron Howard directs this second round of Tom Hanks as Harvard symbology professor Robert Langdon. A movie tie-in (Anchor, $16, 9781101974117) is available. Reputations: A Novel by Juan Gabriel Vásquez (Riverhead, $25, 9781594633478). "With direct and forceful narrative and a translation as smooth and peaceful as the quiet narrator himself, this book takes the reader on a days-long search for the past and the present in modern day Bogotá. A prominent political cartoonist is shaken when a forgotten uncertainty from the past resurfaces. This psychological study of the concept that what we believe makes us who we are is a masterpiece!" --Nicole Magistro, The Bookworm of Edwards, Edwards, Colo.
Mercury: A Novel by Margot Livesey (Harper, $26.99, 9780062437501). "This riveting psychological novel delves into the lives of Donald and Vivian, a married couple whose stability is threatened and ultimately undermined when Vivian, whose former life as an aspiring equestrian was cut short, meets Mercury, a magnificent horse with a tragic history. What unfolds may seem like destiny to Vivian, but to Donald, a staid and deliberate ophthalmologist still mourning the death of his beloved father, it tests everything he's ever known, including his faculty for navigating the world. A truly remarkable study of human nature and the blindspots that hinder us all." --Mary Cotton, Newtonville Books, Newton, Mass. The Life-Writer by David Constantine (Biblioasis, $14.95, 9781771961011). "Occasionally tragic and always tender, Constantine's novel is a moving exploration of the ways in which we relate to the people we love. After the death of her husband, Katrin--a literary biographer who has dedicated her career to recording the lives of obscure and largely unsuccessful writers--finds herself drawn to a new project: telling the story of the early life and first love of the man she would later marry. A remarkable story of grief, rediscovery, and reconciliation." --Sam Kaas, Village Books, Bellingham, Wash.
Return by Aaron Becker (Candlewick, $15.99, 9780763677305). "The last book of Becker's trilogy ends on a perfect note. Unlike many fantasy stories, it will take the efforts of both children and their parents to solve the problems of a fantastical kingdom. Beautiful, dynamic illustrations sparkle on every page in this glorious book that celebrates the power of drawing and invention." --Marika McCoola, Porter Square Books, Cambridge, Mass. The Best Man by Richard Peck (Dial, $16.99, 9780803738393). "This is a timely coming-of-age tale filled with appealing characters, especially Archer, the narrator. Bookended by two weddings, The Best Man follows Archer from first grade through sixth. Readers encounter quirky classmates, quirkier teachers, and some sobering incidents with bullies, along with friendships and much goodness among the characters. Mostly, this is a book about family and the ways in which family makes us who we are. The Best Man is a triumph for Peck and a generous and important gift to readers." --Christopher Rose, The Spirit of '76 Bookstore, Marblehead, Mass. Augustus Owsley Stanley III, soundman for the Grateful Dead, had many sobriquets: the Johnny Appleseed of LSD, the Luther Burbank of weed or, as Dead lyricist John Perry Barlow described him: "Acid King, Annealer of the Grateful Dead, and Master Crank." When he joined up with the band in 1965, however, they just called him Owsley--or his high school nickname, Bear (for his hairy chest and a lifelong all-meat diet). Five-foot-six and 150 pounds, he was a little guy who loved many women, the Grateful Dead and lysergic acid diethylamide. A self-taught electronics wiz, he mixed and taped more than a thousand Dead concerts and designed their unwieldy, 40-foot-tall, 70-foot-wide touring Wall of Sound system. The music may have sustained the Grateful Dead as the most popular live band in rock history, but it was amateur chemist Owsley's branded pure tabs of Blue Cheer, White Lightning or Monterey Purple that first elevated the audiences (and the band) into that "long, strange trip." 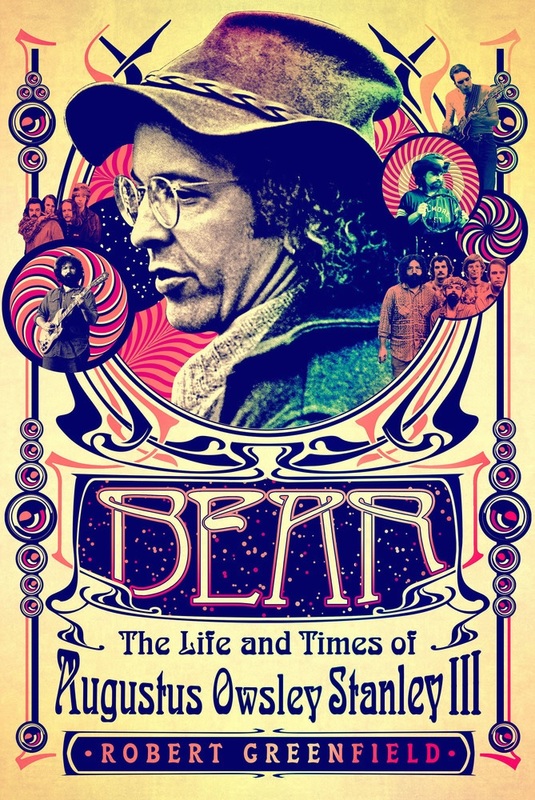 There is a plethora of Grateful Dead books, a bottomless supply of their concert tapes and even a 24/7 Sirius/XM station, but Robert Greenfield's Bear is the first full biography of the man whose obsessive drive for perfection gave the Dead their dedication to quality in their performances and recordings. When Bear first heard them play at Ken Kesey's La Honda party, they were a ragtag bunch with talent and lots of drugs. He may have accelerated their drug use, but he also made them a tighter musical force. Greenfield, former Rolling Stone associate editor and author of several books about rock music and the '60s (Exile on Main Street; Dark Star; Timothy Leary), includes archival photos of the justifiably paranoid camera-shy Owsley, interviews with the man himself and conversations with the surviving Dead and their global posse. If Bear slows a bit in the second half, it's because Owsley also trimmed his sails. Busted many times, he quit the acid business and worked his last gig with the Dead in 1978. For a while, he lived on sales of his homegrown primo marijuana, but then walked away in 1984 and took girlfriends, ex-wives and children to northeastern Australia, where he squatted on open range and built a compound for his family. Returning to the States frequently for Dead tours, he also made a little scratch hawking his homemade belt buckles at concerts. In 2011, his body wracked by chemo treatments for cancer, Bear died in a car wreck in Australia. In memory, his son placed some of his ashes on the soundboard for the Grateful Dead's 50th-anniversary Fare Thee Well concert in Chicago in 2015. Drummer Mickey Hart commented on his death: "At least now Jerry and Pigpen will have someone to talk to." Greenfield's anecdotal Bear feeds a Deadhead's jones--those who were there during that Summer of Love or their children and grandchildren. --Bruce Jacobs, founding partner, Watermark Books & Cafe, Wichita, Kan. Shelf Talker: Robert Greenfield's gossipy Bear captures the genius and craziness of the man who turned on a generation and made the Grateful Dead into a rock powerhouse.